Leah Nelms enjoys life to the fullest. 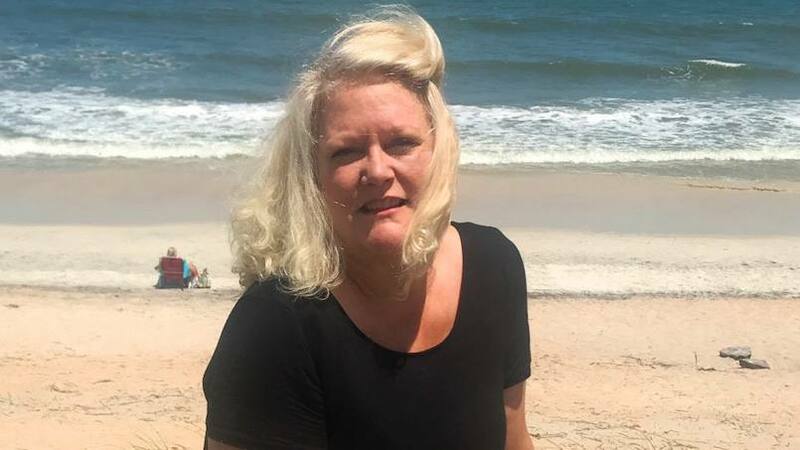 The health care administration consultant goes boating, prepares gourmet meals and spends time on the beach near her home in St. Augustine, Florida. But as she battled breast cancer and side effects related to its treatment, Leah didn't know if that life would be possible for her again. She turned to the multidisciplinary team from Mayo Clinic's Robert and Monica Jacoby Center for Breast Health, as well as other specialties at Mayo Clinic, in hopes of getting back to good health and back to living life on her terms. "Coordination of care was the most important thing," she says. "Mayo's team approach facilitated my ability to get through all this and recover. It really was personalized medicine." Leah's medical journey began in August 2014 when she was diagnosed with breast cancer. Her community physicians advised a six-month course of chemotherapy before she underwent surgery and breast reconstruction. Leah proceeded with care at a medical facility close to her home. But one day in March 2015, she collapsed. Doctors at a local emergency department transferred her to Mayo Clinic's Florida campus, about 30 miles away. There, doctors found that Leah was in organ failure as a result of toxicity from the chemotherapy regimen she'd been on. In addition to liver and kidney damage, Leah's heart was not functioning properly. Her ejection fraction, the percentage of blood the heart squeezes back out with each contraction, was 18 percent — less than half the normal rate. She was also suffering from other heart problems, including atrial fibrillation and cardiomyopathy. "We worked closely with her oncologists to change the dosages of her cancer medications and made sure she didn't take any other medications that could further damage her kidneys." — Ivan Porter II, M.D. A multidisciplinary team that included cardiologist Mohamad Yamani, M.D., as well as breast surgeon Sanjay Bagaria, M.D., radiation oncologist Laura Vallow, M.D., medical oncologist Alvaro Moreno Aspitia, M.D., and nephrologist Ivan Porter II, M.D., worked together with Leah to execute a treatment plan. The plan was to address Leah's cancer while preserving her heart function and avoiding further damage to her liver and kidneys. Leah spent eight days in the hospital. Her Mayo care team recommended she postpone for at least two months the surgery to treat her cancer, so they could focus on improving her overall health. "She underwent electrical cardioversion, during which electric shocks are sent to the heart to restore the heart's normal rhythm," says Dr. Yamani. Leah also was prescribed several medications to improve her heart function. "We worked closely with her oncologists to change the dosages of her cancer medications and made sure she didn't take any other medications that could further damage her kidneys," Dr. Porter says. "After a few months her heart and kidney functions returned to near baseline levels." In May 2015, Leah continued with her cancer treatment as she underwent a double mastectomy, followed by four weeks of radiation therapy. Having all her physicians under one roof at Mayo Clinic ensured changes could be made quickly, as they were needed. After taking time to heal following the surgery, Leah eventually began feeling like her old self again. And she wanted her body to match how she felt. "I wanted to look more like I used to look and not look like I'd had cancer." Leah says. "I wanted to look like me." But Leah didn't want breast implants. She met with plastic and reconstructive surgeon Antonio Forte, M.D., Ph.D. in search of an alternative. Dr. Forte suggested she consider a procedure called DIEP flap reconstruction, a microsurgery where a flap of abdominal tissue is removed with an artery and vein and then is connected to chest vessels. "The complex procedure, which requires special expertise, is similar to a tummy tuck. But instead of discarding the abdominal tissue at the end, we use it to reconstruct the breasts," Dr. Forte explains. "The main advantage is that it provides a more natural reconstruction because it uses the patient's own tissue." That gave Leah the answer she was looking for, and her team gave her the confidence to proceed with the procedure. "Dr. Forte is knowledgeable and caring. He can really convey confidence, and so he allays your fears, but also forms a bond with you," Leah says. "He and his team make you feel like you're their only patient." Not only is Leah pleased with outcome of her surgery, she's grateful for the exceptional care she received at Mayo Clinic overall. "Throughout my almost three-year journey, I was never anxious due to not understanding what was happening and what the prospective plan was. I was fully informed before, during, and after every single treatment and surgery," Leah says. "I continue to be in awe of how much the patient education at Mayo helped me through this tough ordeal." Now Leah's happy to be living a life that's no longer focused on her disease. "The most positive thing is I just feel more like me pre-cancer. When you're going through cancer, you're cancer girl. That's all you talk about," Leah says. "Thanks to the entire team at Mayo, my cancer is gone, and I feel great.